I knew I was in good company when I stepped onto the Munchkin stand at this year’s Kind Und Jugend show in Cologne, Germany. 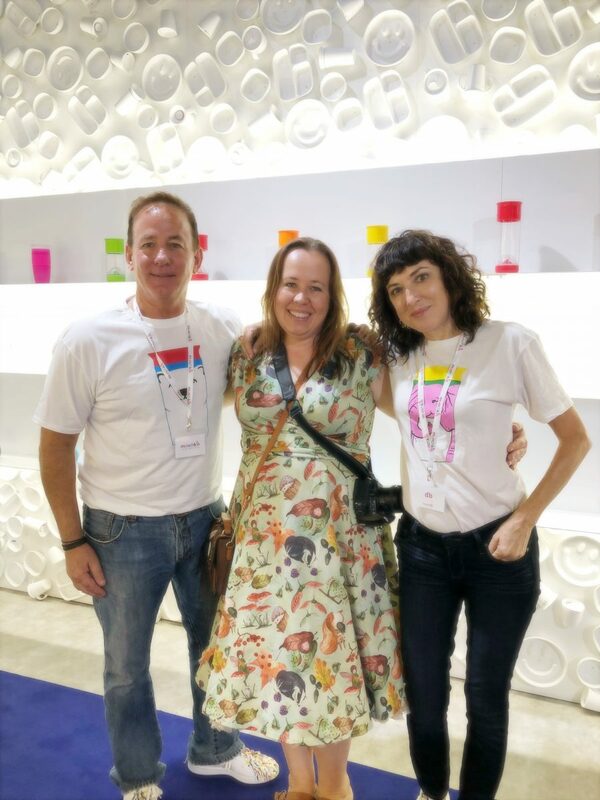 Greeted by a rainbow of hearts dangling from the ceiling, and guided towards a sweetie bar that would make Willy Wonka feel outclassed, I met with the very gorgeous Jaime Oliver for a day exploring Munchkin’s products that are coming to the UK over the next year. If you’ve never heard of the Kind Und Jugend show, first of all, I should tell you it’s COLOSSAL. Like nothing in the UK. 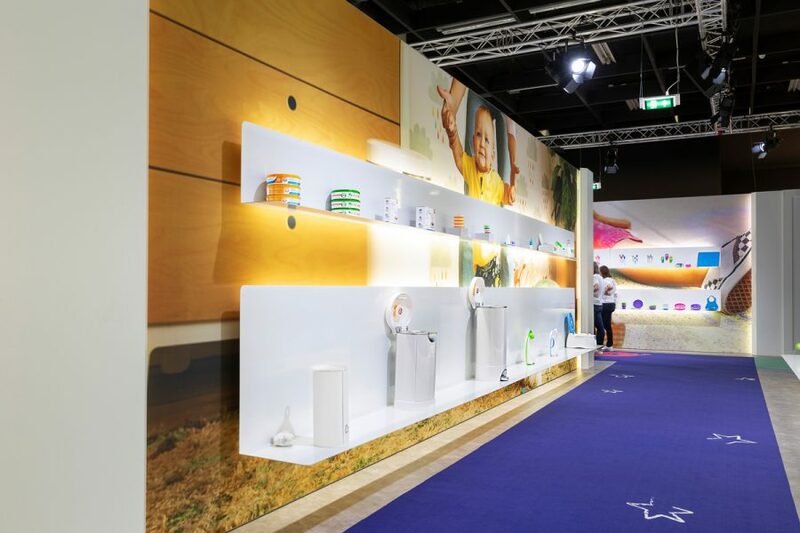 Over in Koelnmesse, where I visited Photokina last year, the vast halls host this show every year – and it’s the leading international trade fair for the best of baby and toddler products. Jaime and I arrived as guests of Munchkin to see what they were up to this coming year. 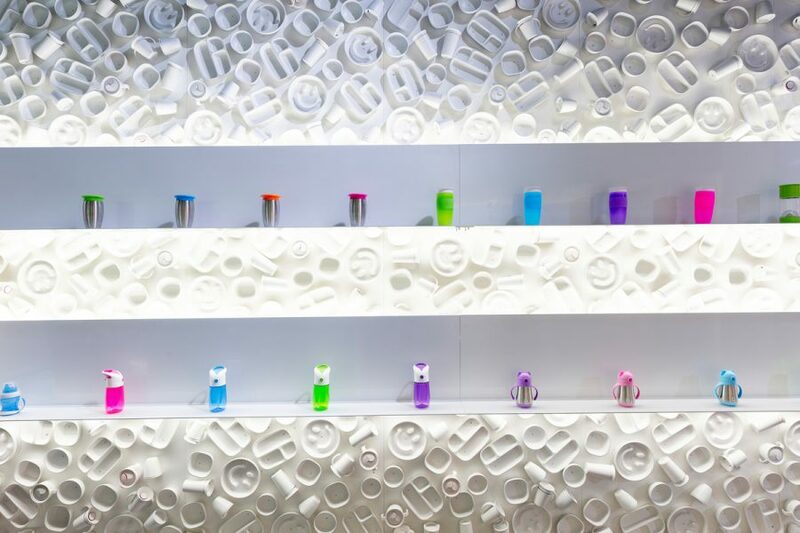 Munchkin’s ambition is to be the most loved baby lifestyle brand in the world – and I don’t think I know a parent who doesnt have a Munchkin product in their home – and probably at least 7 out of 10 of them have a Miracle 360 cup because these cups have saved nearly every surface I have from spills. We LOVE them. Anyhow, even though I knew how completely amazing Munchkin’s products that I already have are – mostly cups and bath toys, I had no idea how much MORE was out there, waiting for me and every parent who values products that don’t just look gorgeous and fresh, but are also totally invaluable pieces of baby and toddler equipment. I say that because what was waiting on the shelves inside the stand wasn’t just a host of bright and beautiful products, but incredibly practical, useful products – which I saw and had an instant need to take home with me because of how much they could improve my day to day life. After parenting for nearly nine years, I can truly say that it’s very rare that a brand has so many completely unique products. I shook my head over the sheer amount of complete sense each product I was introduced to made. 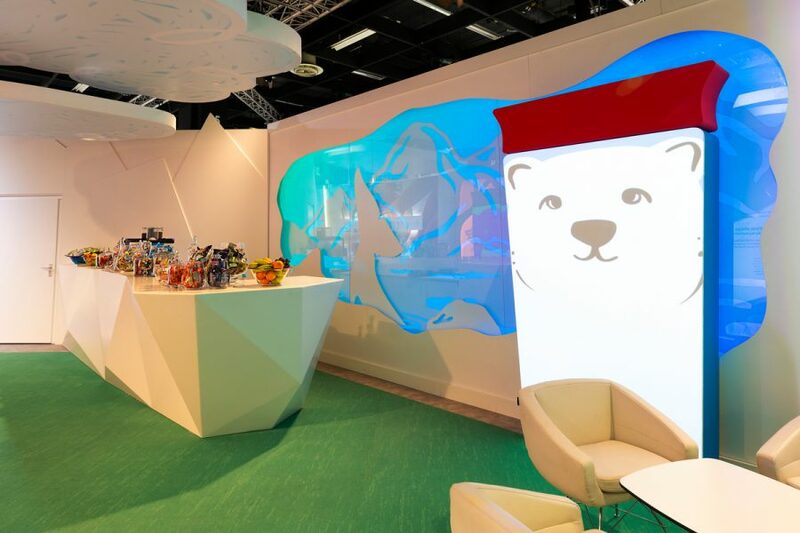 All of the products for the coming year are highly innovative and creative, and I fell in love with everything I was shown as we wandered around the stand, which resembled more of a New York Art installation than a baby show pop-up stand. After taking a tour of the products, Jaime and I were taken backstage to meet two of the most amazing people from Munchkin – Steve Dunn, CEO and DB, the Creative Director and Chief Brand Officer, to ask a few questions so that we could get a real feel for Munchkin. I always feel so much more connected with a brand when I feel I understand where they’re coming from, their core ethos and how they work. After a very fun question and answer session, I loved learning that each employee is asked to pitch an idea to Munchkin. 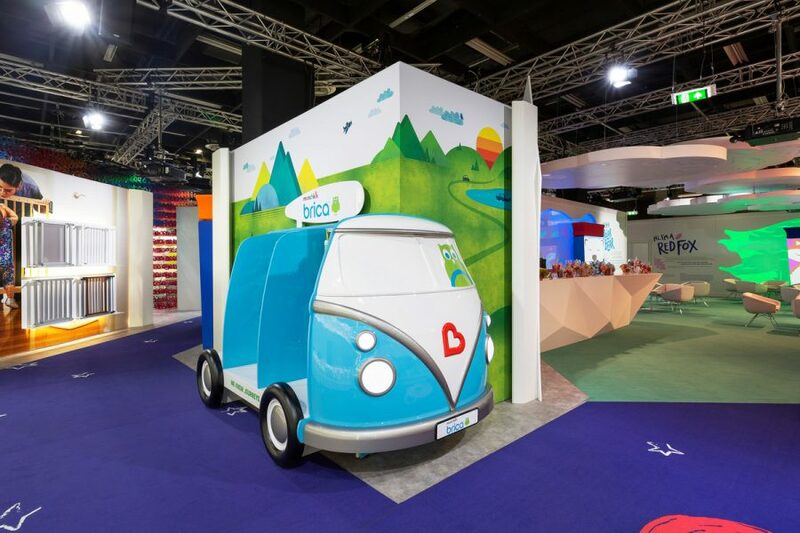 For each employee to be involved on such a level clearly demonstrates how passionate Munchkin are about making parents’ lives easier [and homes more colourful]. I also discovered that each product only survives as long as it is loved by customers – any line not gaining a 4 star rating is headed off the shelves unless it can be tweaked and regain its status. A useless product for parents is a pointless product for Munchkin – and that really shines through. 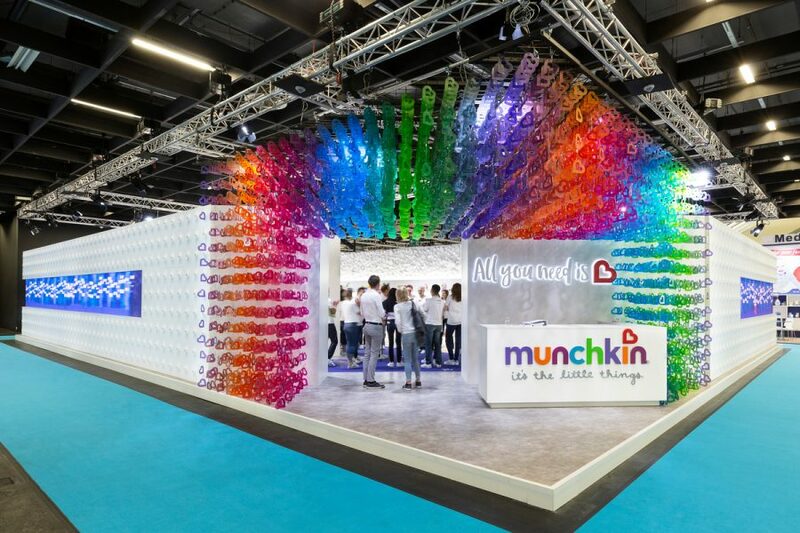 I was completely blown away to learn that there are over 30 new products coming onto the market from Munchkin over the next year – and as I made my way around what was definitely one of the most beautiful and creative exhibition stands I’ve ever seen, I took some footage of them so that you can prepare yourself – stay tuned to our IGTV next week for our top ten favourite products on film! There were SO many amazing products to look at that I’m not even sure I saw all of them in the time I had at the exhibition – but here are my ten favourite that I’d buy without blinking. As you can’t see them yet [booo] I’ll get the video made as soon as I can this week so that everything will make more sense to you. I’m going to describe what I saw below, but I don’t have the official names for the products so I’ll update them as and when they come onto the UK market. Munchkin’s bath toys have long been our favourite for tub time fun. But they’re not just about the fun – this year they have products I wish I’d had from day one which would – and will still – make bathtime less terrifying for me. I grabbed these and hugged them when I saw them. Two yellow ducky faucet guards to protect any little hands from touching the hot bits on the tap whilst it’s filling and from bumping heads on the spouts when they’re playing about in there. This is the product of my dreams and I can’t wait to get some. This bathtub was just fantastic – with a little silicone spout for draining without the need to tip, and Munchkin’s white heart technology to signal if the bath is too hot for your little one, it has a little bump in the bottom to help stop slipping too, and a high back, complete with handle for storage! My boys were all fluffybutts [cloth nappied] in the day, but at night I gave up trying to contain the wee, and I plumped for disposable nappies. The amount of plastic nappy sacks I went through must be eye watering at best. Munchkin have developed a very clever and very attractive looking bin in which nappies can be deposited with the odour locked away, whilst using so much less plastic than the other nappy disposal systems I considered. There’s even a little Arm and Hammer air freshner in the lid. I fell in love with this immediately. What’s also new is a brilliant creation for if you’re a camping family, or you’re visiting relatives and friends for the weekend but don’t want to leave them with a huge set of your used nappies in their bin. It’s a fantastic nappy disposal sack which not only holds 20 full disposable nappies, but also stands by itself like a cylinder without sagging, but ALSO manages to keep all smells contained in the unit, AND can be hung from inside the tent to keep away from any creature that might want to poach it in the night! In the photo below, the portable nappy unit is closest to you, and the bins just along from them. Besides the stinky side of taking care of our little ones, Munchkin also have the darker side of parenting covered…with a NASAL ASPIRATOR. If you haven’t ever tried to use one of these, you’re a lucky parent. I can deal with most things in life, but sticky bits from noses are at the top of my stomach churning list. That said, if ever I was going to use a nasal aspirator [also known as a bogey-sucker if you’re still scratching your head] it would be the beautiful one Munchkin have created in a little pure white case. It will sit alongside the very sweet little grooming kit which has all of the baby essentials like tweezers, nailfiles and the like that you constantly lose around the house in the sweetest Munchkin heart shaped case. Munchkin absolutely have the best plates and cups I’ve ever seen or used, or washed up. And let’s just say I’ve bought quite a few in my nine years. The boys’ love for seasonal products rivals even mine and so this Autumn we bought a pack of the apple shaped plates which they have dinner on every evening now. At Kind Und Jugend I came face to face with some very smiley plates designed not just to be fun but also help with learning to eat and scoop food from plates, and an adorable grown-up dinner table set which would make the sweetest gift for little people graduating to big-kid plates and cutlery. It’s impossible to mention Munchkin and cups and not talk about the 360 design. The day I found one of their cups was the day my carpets and clothing sang hallelujah! It’s so brilliant that now IFAW have partnered with Munchkin to produce a gorgeous set of vibrant cups, with and without handles in the 360 design, featuring endangered animals such as the polar bear and red fox so that our little people can grow into big people who want to care for our planet’s creatures – introducing children to the plight of animals as young as possible is crucial; we all know that we protect what we love. For the bigger people like you and I, there are BIG 360 cups – or “school run” cups as I call them now. I have my very own pure white one that I take everywhere with me, and the boys are waiting for two new cups I saw to be available – infuser cups and little aluminum cups with kitty heads which keep drinks warm, which apparently they need for hot blackcurrant now it’s oh-s0 cold. Haha. Me, I’m waiting for all of the above but also for the cup with straw which means I can finally, AT LAST, buy school water bottles that aren’t going to leak by the time I’ve reached the classroom door every morning. If this had been a supermarket sweep day and I’d had more room in my luggage, the Munchkin seat guards and kick pads would have been in my trolley. I’ve lost count of the number of sweeping crumbs off from under car seats and wiping down the back of driver and passenger seat backs I’ve done thanks to snacks and swinging little feet. 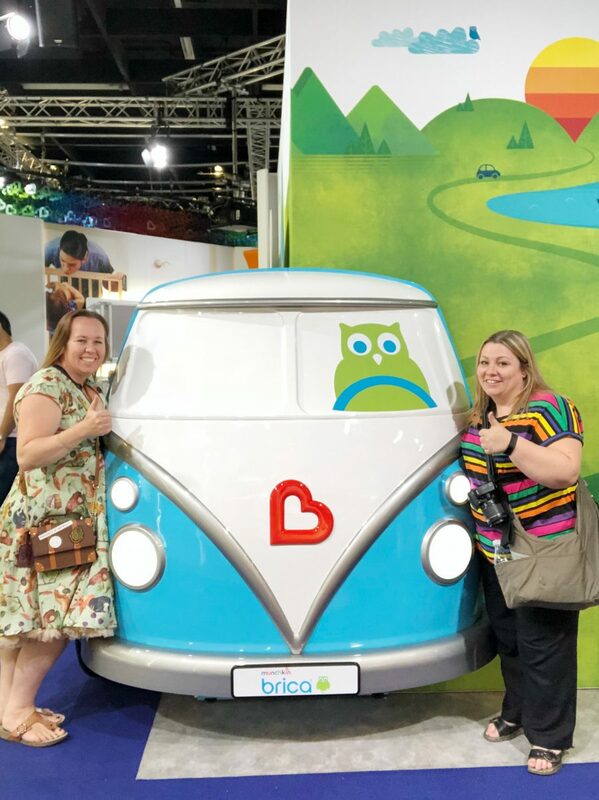 There was a product at the show which I decided to call the perfect piece of equipment for babies of bloggers, like Hero who used to come to every conference and engagement with me as a baby. An ingenious piece of equipment which attaches to the car seat and turns it into a makeshift trolley to be pushed about. It’s amazing! Talking the Talk, Walking the Walk? What struck me most when I saw all of the new Munchkin products was how much they actually listen to the people who take care of babies and toddlers every day. Now, after speaking with Steve and DB I know *exactly* how they do this – and it’s so impressive – but when I got home I had a bit of a lightbulb “ahhhh” moment and saw it for myself when I opened the big bag of Munchkin bits for us to enjoy. Instead of having to wrestle with the plastic and cardboard packets and then resign myself and reach for the scissors, I found that the packets and cases all opened simply with very little effort thanks to clever design and little stickers. Speaking of plastic, Munchkin are also aiming to use 50% less in the future,too! So, no wrestling and muttering and cursing and wrenching required at all from me and I even kept some of the packets to show my friends, I was genuinely that impressed. And you know as a parent, it’s things like that that make you want to recommend a brand. Seriously, these things help take small annoyances and struggles out of parenting and lead to happier everyday lives. 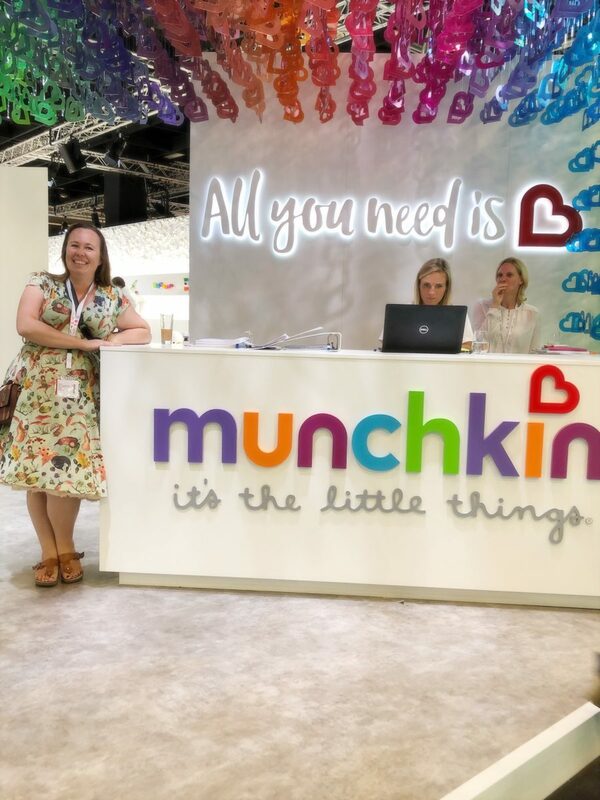 I was genuinely sad to have to leave the Munchkin stand – there was so much to see and discover and I was completed inspired and fired up when I came away. 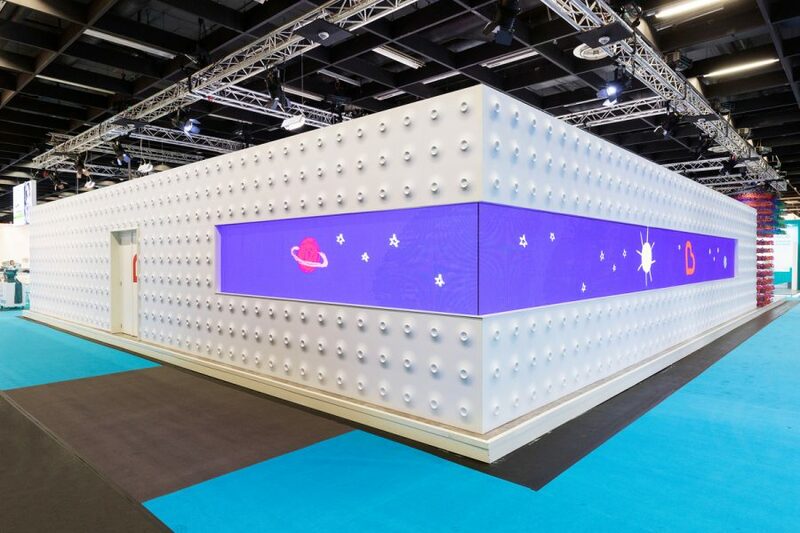 Thank you SO much, Munchkin, for inviting me over to Cologne to see everything in action – I had the most amazing time, and I can’t wait to see which product lands first on our shelves for us to enjoy!